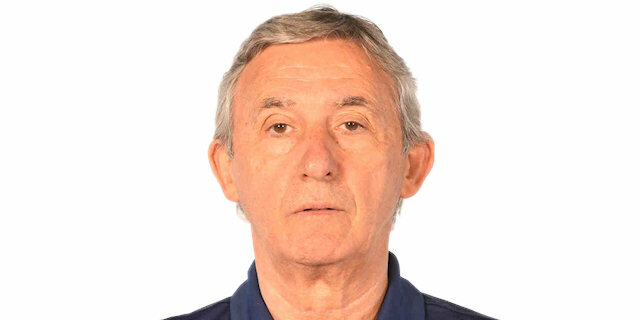 Head Coach Bosna Sarajevo (1982-87)…Head Coach Alba Berlin (1993-00)…Head Coach Cologne 99ers (2001-02)…Head Coach FC Barcelona (2002-September'04)...Head Coach Virtus Roma (January'05-2006)...Head Coach Akasvayu Girona (2006-07)...Head Coach Dynamo Moscow (2007-April'08)...Head Coach Crvena Zvezda Belgrade (2008-2009, 2011-12)...Head Coach Valencia BC (November '10-2011)...Head Coach FC Bayern Munich (November'12-2016)...Head Coach FC Barcelona (February'18-...). Won the 2002-03 EuroLeague with FC Barcelona… won the 1995 Korac Cup with Alba Berlin Basketball Team…won the gold medal at the 1993 European Championship with German National Team…won the gold medal at the 2001 European Championship with Yugoslav National Team…won the gold medal at the 2002 World Championship with Yugoslav National Team…won the 2007 FIBA Eurocup with Akasvayu Girona...won the 1982-83 Yugoslav National Championship with Bosna Sarajevo… won the 1996-97, 1997-98, 1998-99 and 1999-00 German National Championship with Alba Berlin Basketball Team…won the 2002-03 and 2003-04 Spanish National Championship with FC Barcelona…won the 2013-14 German National Championship with FC Bayern Munich...won the 1984 Yugoslav National Cup with Bosna Sarajevo…won the 1997 and 1999 German National Cup with Alba Berlin Basketball Team…won the 2003, 2018 and 2019 Spanish National Cup with FC Barcelona…won the gold medal at the 1985 European U-16 Championship…won the gold medal at the 1986 European U-18 Championship…won the gold medal at the 1987 World U-18 Championship. Named the German Bundesliga Coach of the Year (1995-96, 1997-98).